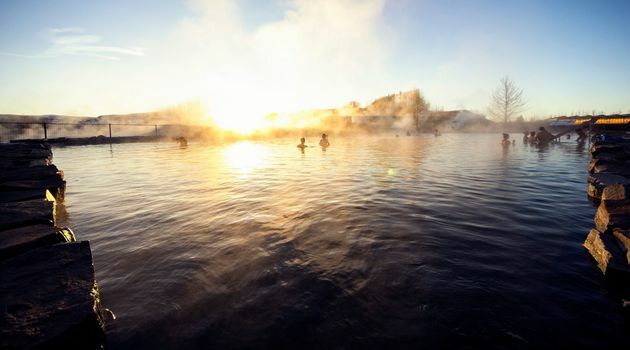 This is a combo tour not to be missed as not only does it combine two fantastic activities into one day but also grants an earlier admission to the lagoon than what is typically available. 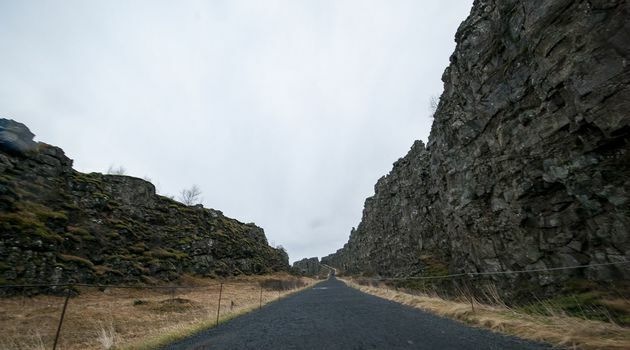 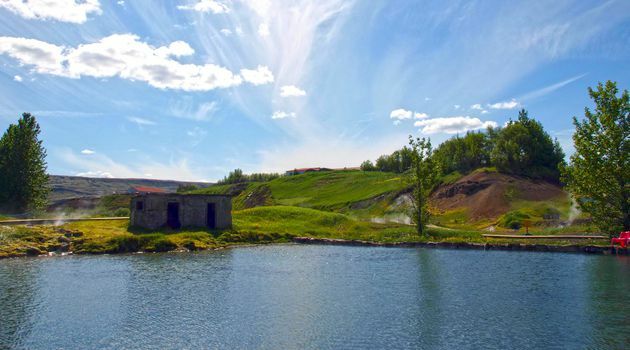 The Golden circle and secret lagoon are both in the same area of the south west of Iceland and as such it is very easy to create a route in which you will be able to see everything. 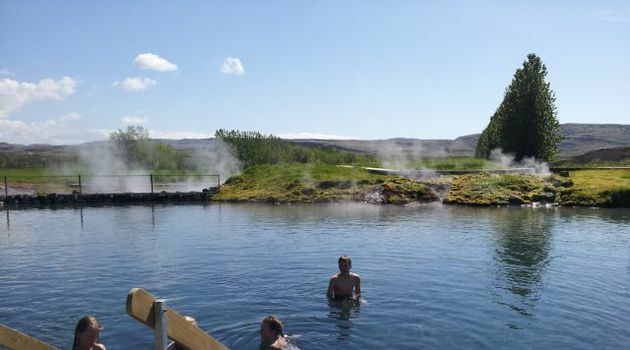 We begin the day with our trip to the Secret Lagoon in the town of Fluðir where the warm 40 degree waters will rest your mind, body and soul. 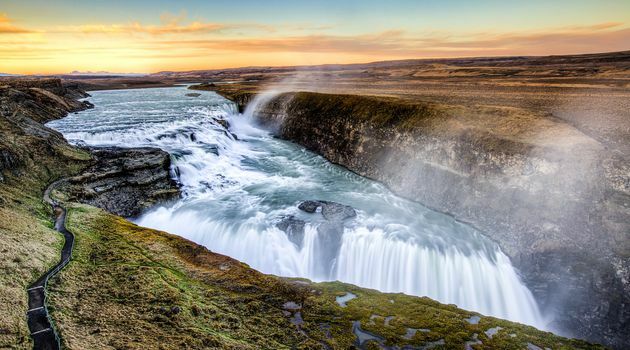 After a few hours relaxing here we then take you along the golden circle route where you will be able to see the geothermal paradise of Geysir, the magnificence of the Gullfoss waterfall and Þingvellir national park. 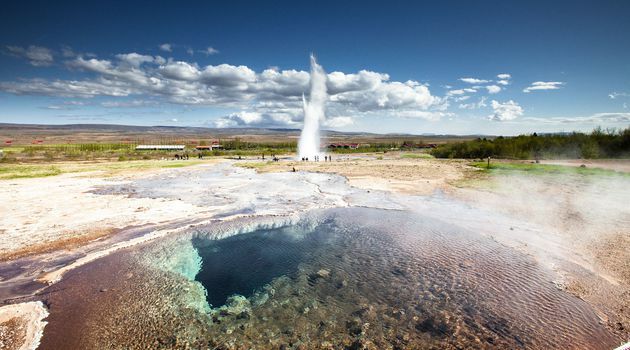 This combo is one of the most popular tours in Iceland and once you have been on it you will certainly understand why.